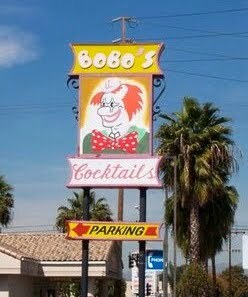 Norwalk, California, home of Bobo's Cocktails! The lettering on the sign promises a good time. Usually you see frightening images like this after you've been inside the bar for awhile.